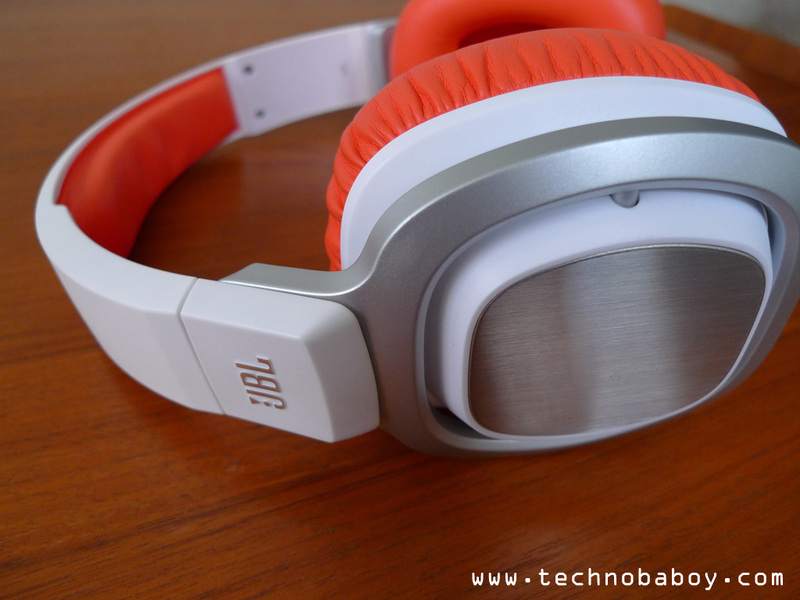 JBL has always been proud of what they do best: good sounds with good looks. With the J88, the audio company crafted a good sounding over ear set of cans that features stylish looks and premium design. 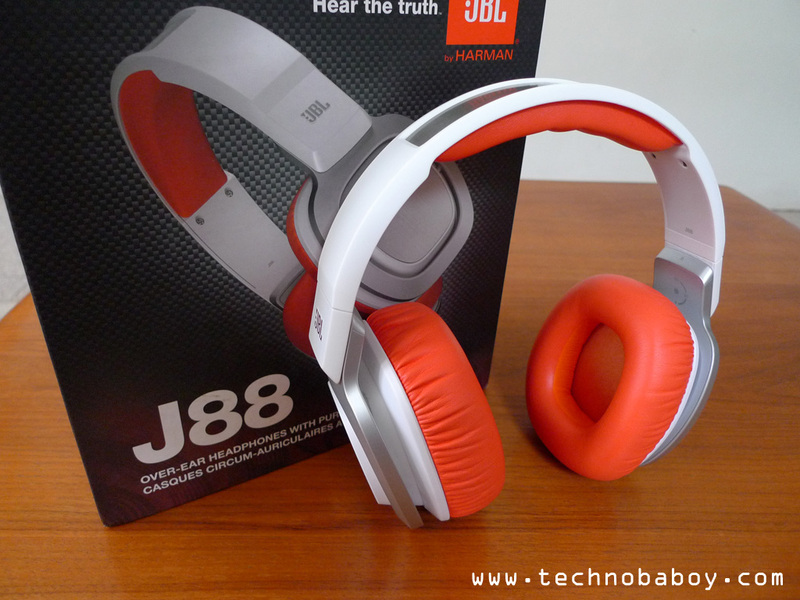 The J88 has a bold design featuring bright orange colors, white and silver matte plastics, and the stainless steel headband. 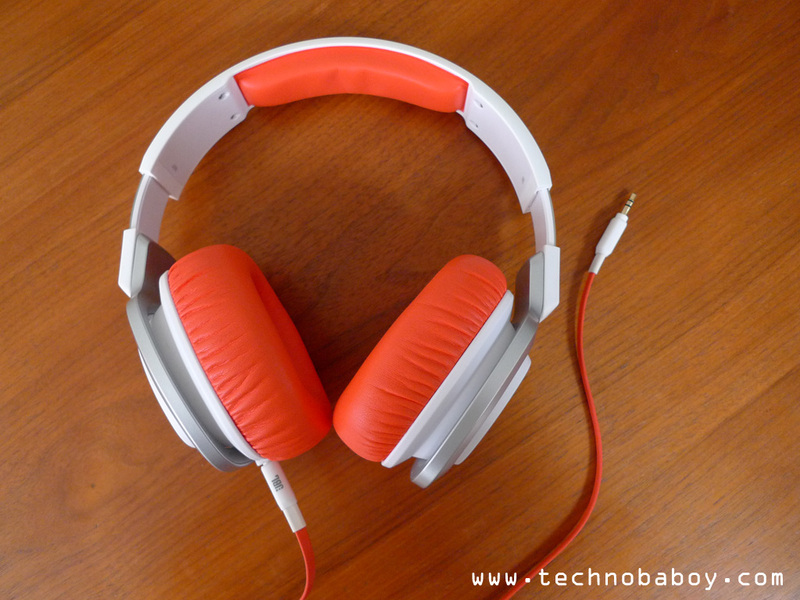 The over ears has that premium look and feel. I think the build quality is excellent. 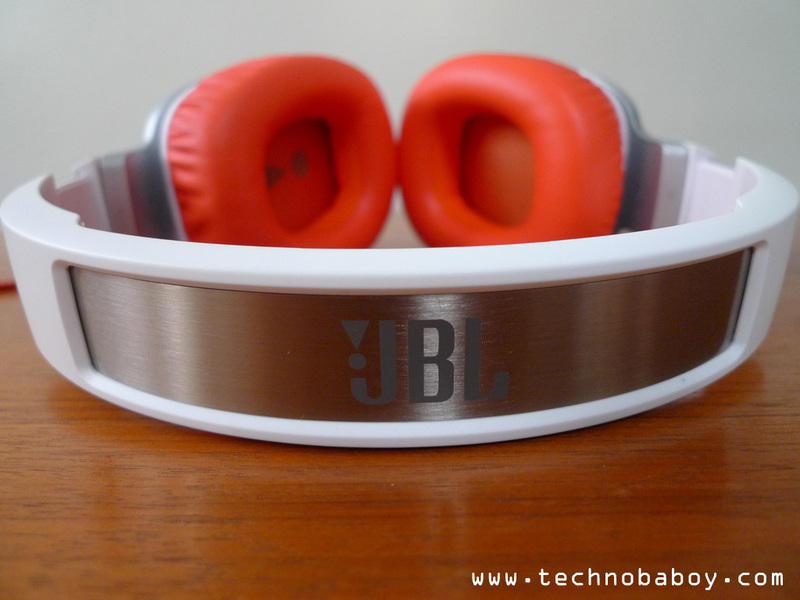 JBL used good quality plastic, and the brushed stainless steel accent adds an elegant touch. The J88 definitely feels durable and solid. The J88 doesn’t grip your head tight, but it’s enough that they don’t fall off if the chord is suddenly pulled. 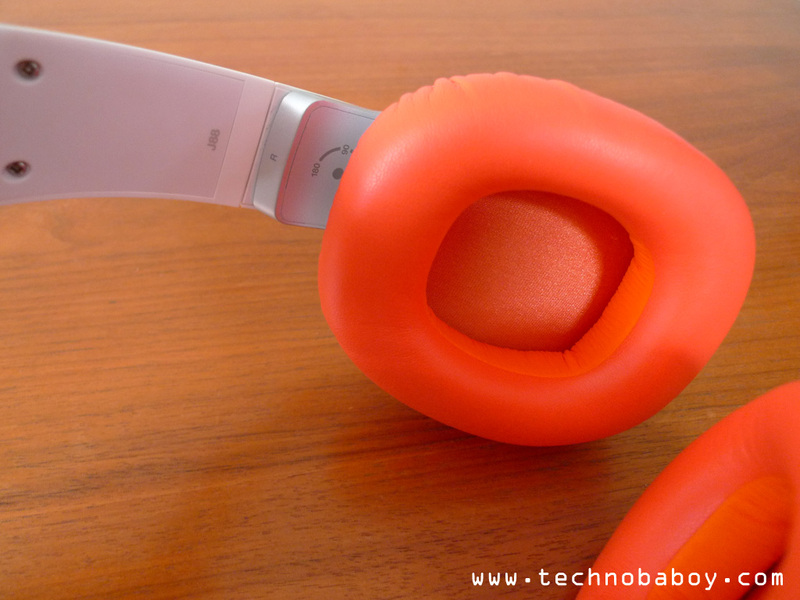 The soft leather cushions of the rotating ear cups are very comfortable, even during extended listening sessions. 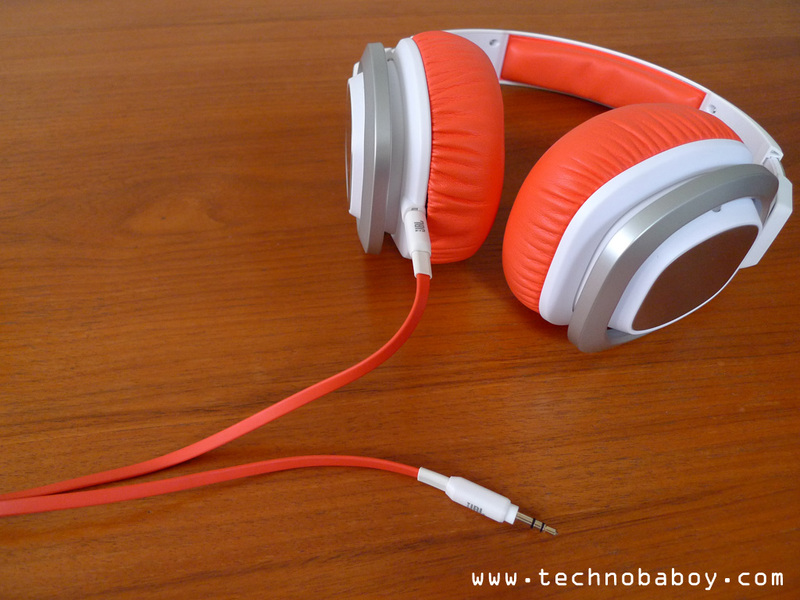 It also blocks some of the noise, improving the headphones’ passive noise reduction. Leaks are also minimized because of this. Like most over ears though, it gets a bit warm sometimes (it’s because of the leather). The ear cups rotate for easy storage. Like the J55, I like that the steel band has numbers that act as a guide when you adjust it for a near perfect fit. Although beautifully designed, the J88 is a bit bulky. It looks a bit large on my head, but at least it doesn’t have the weight. It’s light and very comfortable to use. 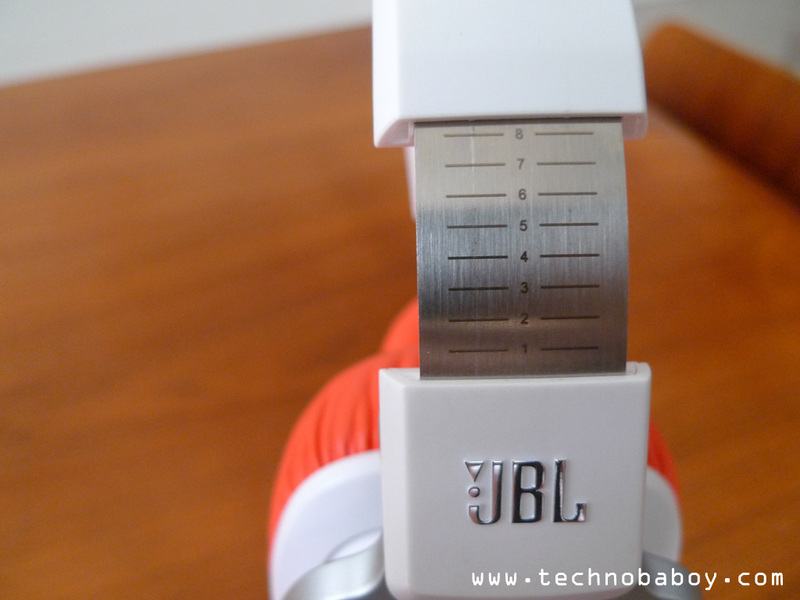 The J88 comes with a 1.3M detachable, single-side, flat cable that locks into the headset with a twist. The flat design lessens the tangling, but it still does happen. The J88 offers good overall performance. Sound quality is good, with average to above average clarity. The dynamic range is good as well, as is the soundstage. 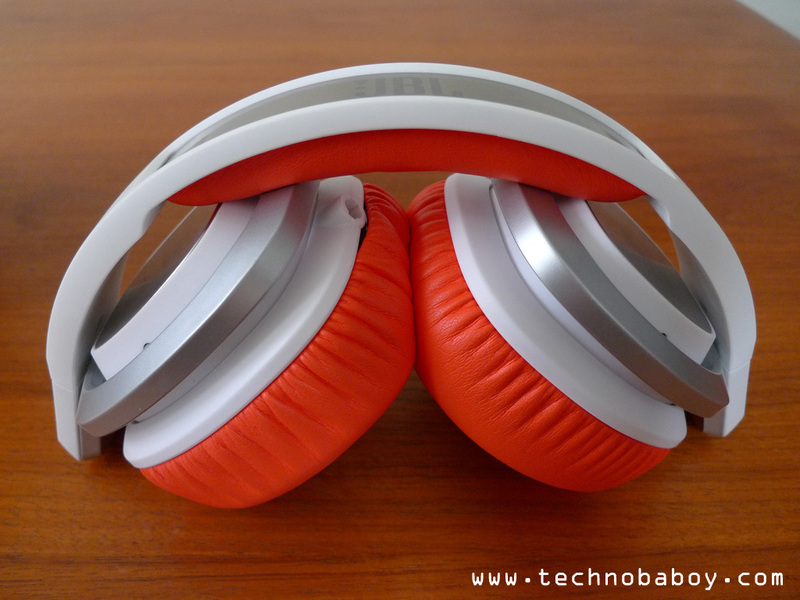 The bass is also good and powerful (because of the 50mm drivers), but it could have been deeper. At times, the bass is overpowering, making the vocals sound muffled. I’d say the treble is above average, but could use some boost. 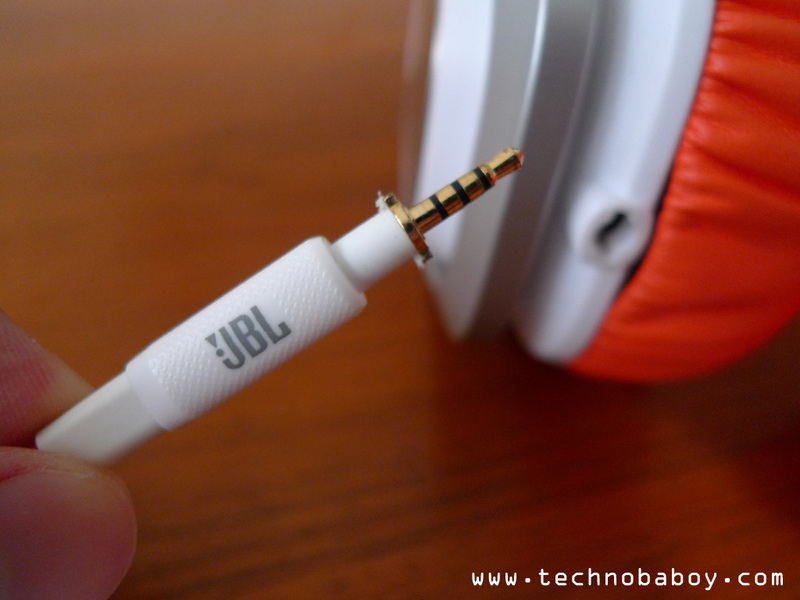 All in all, the JBL J88 is a good set of over ear headphone. 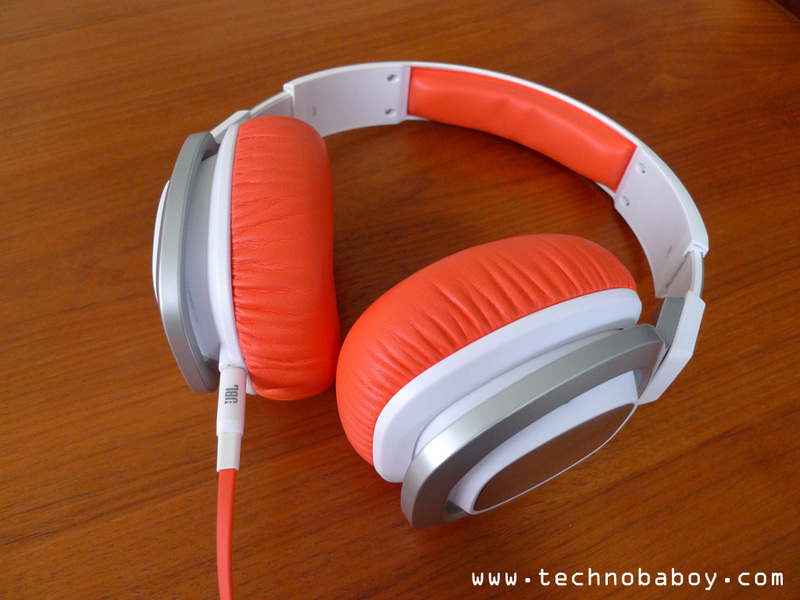 The sound quality is good, and it is very comfortable to wear. It’s a bit bulky and sometimes the bass can be overwhelming, but all in all, the trade-offs are overcome by the positives.